I enjoy exercising and keeping fit, though I can say from experience that it definitely becomes more difficult as you get older! When I was in my 30s it didn't seem to be so hard to find time to work out, or to keep the pounds off even as much time as I did spend in the gym, jogging along local trails, or trying to do workouts at home. So I'm always looking for new ways to shake things up, keep healthy and try to improve my physical condition. I don't want to transition from a "fairly fit 40" to a "flabby 50" in a few years' time! With that in mind, I'm always looking to try new workouts, and one of the most popular home exercise programs of the past few years is Shaun T's Insanity Workout DVDs. They promise to improve your stamina and overall cardiovascular strength in just 60 days. But does it actually work, and is it a good choice for someone like me given my age and background? There are so many DVDs and programs out there it's hard to figure out which ones are worth your time - and money. It came recommended to my partner, by the other players in the 35-and-older mens soccer league he belongs to. At 50 and not being someone who has time to do much exercise at home (he is a busy podiatrist and a painter), he is always finding it difficult to keep up the pace for full Sunday soccer match. Many of his fellow team members are fans of this and other DVD sets by the Beachbody company, especially their very famous P90X series by trainer Tony Horton. I've also been a fan of Beachbody videos in the past, and now in need of a routine that would really shake-up my stagnant routine (2-3 days a week on cardio equipment at the gym, 2-3 days of home kickboxing, yoga and strength training.) I hadn't been seeing any real results and progress from that program in the past year, and was finding it increasingly difficult now that I'm past forty to keep the waistline under control. So I thought, if my sweetie is going to try Insanity, maybe I should too! He bought the DVD set and I actually started doing the plan before he did - in fact, he gave up after only the first two sessions, finding it too intense for him, whereas I am now in week one of the second month. The exercises themselves are not that unusual or unique, and should be familiar to anyone like myself who has spent a fair amount of time doing cardiovascular work, calisthenics, sports training or kickboxing. There are lots of jumps, squats, push-ups, "high-knees", lunges and kicks, although they are often combined into multiple movements so that the upper body and lower body get worked at the same time. However, the intensity of doing these movements non-stop for minutes at a time - and then getting only a very short water break before doing them again - is what really pushes this program to the next level. The first day I did the initial Plyometric Cardio Circuit workout, I couldn't get through more and about 20 of its 40-minutes length before feeling too winded and exhausted to go on. I had to skip forward to the cool-down and wondered if I hadn't taken on more than I was capable of. But things got better for me as the program continued. The first four weeks introduce the pacing, the specific movements, and gets you started on building your cardiovascular endurance, abdominal muscles and flexibility. There are four main workouts you alternative between: Plyometric Cardio Circuit, Cardio Power & Resistance, Cardio Recovery and Pure Cardio. Beginning the second week you also add a short Cardio Abs routine every few days, and have one day off a week for recovery. Week five is a "Recovery Week", where you do the same less-intense but still challenging Core Cardio & Balance routine every day for six days straight. Weeks six through nine are when things really kick into crazy gear with an entirely new set of four "Max" workouts: Max Interval Circuit, Max Interval Plyo, Max Cardio Conditioning and Max Recovery. You also continue the add-on Cardio Abs as instructed, and perform a Fitness Test every few weeks to check your personal progress. 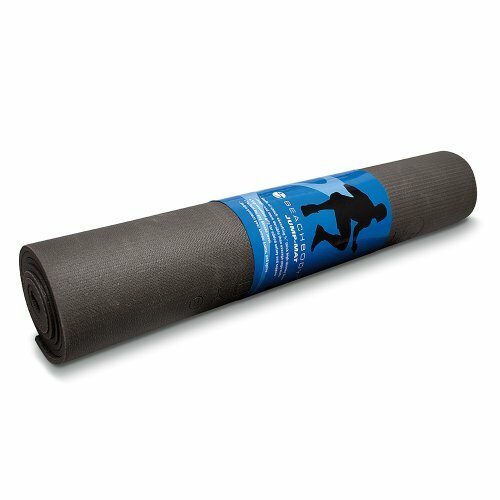 This mat is great for using on hard floors to cushion the impact of jumps, plyo moves, and other high-impact exercises during the workout. It is not recommended for carpeted floors, however, as it can slip around. 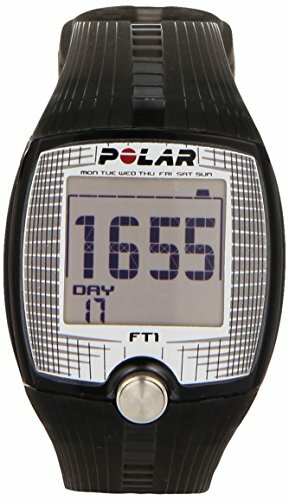 If you are new to intense cardio training, a heart rate monitor is an important tool in making sure you are not pushing yourself TOO hard in your workouts. An alarm will sound if your heart rate goes to high, and you can also make sure that you are pushing yourself enough to get full benefit from your exercises. You'll see a lot of reminders during these workouts to check your heart rate, and it's much easier to do so with a monitor than to try to count by feeling your pulse. Available in many different colors to fit your style. 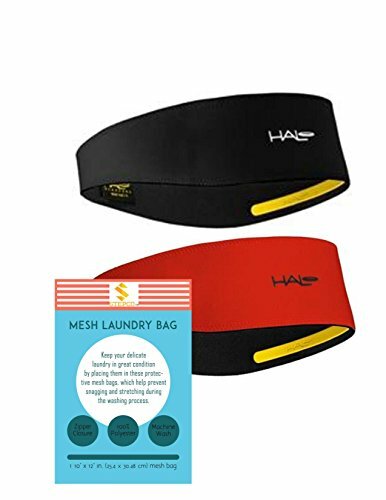 A quality sweatband will make it easier to keep going no matter how hard you sweat! I actually started Insanity on September 11, 2013 by taking my initial fitness test (results and progress below). I tried to stick with the schedule as much as possible, although with work, travel and other commitments here and there, I had to take some days off out of sequence. During those time periods, I tried to still do some yoga and stretching exercises to help keep up. As such, it took me about seven weeks to enter Week 6 of the Insanity training program. It did not take more than about 2 weeks for me to notice a definite improvement in my strength and endurance, and also to have at least one person comment that she noticed a subtle change in my appearance, that I looked more "in shape". By the end of the first month, I also found I was able to do certain exercises I never could before, like repeated full push-ups instead of push-ups from my knees. I felt much stronger in my arms and shoulders especially, and was pleased I could now just about finish some of the most intense 40-minute routines with only a few breaks - when I first started I could barely get through half of them. I can say, however, that I did not lose any weight after starting the program, despite efforts to eat "cleaner" and watch my calories. Admittedly I did not following the dietary plan that goes with the workout as it's just not practical for me and my lifestyle. In fact, I actually found at the end of the first month it appeared that I had actually gained several pounds, which had not been a welcome outcome! But I did some reading and it turns out that may be a common occurrence and not true weight gain but water retention, due to not drinking enough water and muscle inflammation from the high-impact exercises. So I increased my water intake significantly and did notice, after my "Recovery Week", that the weight gain seemed to go away. Some people say you will see weight drop by the end of month two. Below are my fitness test results on Day 1, Day 15 (after two weeks of Insanity) and Day 36 (after 5 weeks of insanity). The fitness test consists of 8 exercises, where you keep track of how many of each you can complete in one minute. These results definitely back-up the Insanity promise of improved stamina and endurance - especially for me for upper-body exercises like the push-up jacks and low plank obliques. I confess, I did not end up finishing the full 60 days of the program because the "Max" workouts were just too intense for me. I also was truthfully getting bored of doing these same workouts over and over again and wanted to go back to varying my routine with using cardio and weight training equipment at the gym, along with other home workouts. So I suppose my experience with Insanity was a bit mixed; it worked as a sudden "shake-up" in my routine to improve my endurance and muscle strength, for a time. But for me it was too tough of a workout to see through in the full 60 days. Perhaps if I had been fully committed to also following the dietary regime I would have seen better results. But this is a seriously intense workout program that is not going to be for everyone. The background music during the workouts is well-suited to the intensity of the program: more driving rock than peppy dance music or disco that gets annoying after a while. That being said, you have to option to turn the music on or off to your choosing, so if you want you can put your own favorite music on or just concentrate on the moves without any distractions. There is also an option to turn on close-captioning, but I did not find Shaun T. difficult to understand. If you have questions about the program, or want to talk with others regarding your progress, the Beachbody message board forum is a great place to visit. That's where I found some answers on possible reasons for my weight gain, what I should continue with after completing this series, and also get motivated by other people's real progress. I've done a lot of home exercise videos through the years, produced by many different trainers and fitness "celebrities". And I have to say Shaun T. is one of the most engaging and encouraging that I've seen. Sometimes it can be hard to stay fully motivated to complete really difficult exercises while watching a DVD or TV program - it's far too easy to get discouraged and just turn the TV off. And some instructors either can be annoying with their perkiness, or not provide enough detail and instruction on how to complete the exercises correctly. That's definitely not the case with Shaun T. He is intense and pushes you (and the others shown in the workout gym), but somehow he makes you want to do better every time. He tells you to "Dig Deeper" to keep going, but also encourages you on how important it is to "rest when needed", especially if you are unable to complete an exercise using proper form any longer. It's more important, he says, to go slower and at your own pace than to try to keep up with a speed that isn't safe for your body and could even result in injury. He spends a lot of time illustrating correct form both himself and correcting others in the class, so you can see exactly what they are doing right - and wrong. It's also motivating to see even these fit and lean individuals in the DVDs finding it hard to keep up with the moves and needing frequent breaks. That definitely makes me feel better as I'm struggling and find I need to take a break from time to time, or just am not ready to begin another set of a difficult exercises. 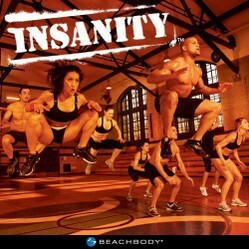 Have you tried Insanity yet? I've completed it and had great results with it. I tried it but I did not like the workout. I tried it but could not complete it - too difficult for me! I completed it but did not get the results I was hoping for. I'm currently doing the program now! I have been curious about it and wanted to read others' experiences first. I've never heard about it until now. Some final thoughts (for now) on the Insanity DVD set. I would not recommend it to someone who is not used to at least some less intense cardio exercise and training first. The starting level of this workout is going to be much too strenuous and difficult for some, and that could turn them quickly and completely off the program (like it did for my sweetie). I would suggest instead starting with some more basic kickboxing, cardio, and strength training DVDs first, such as those by Biggest Loser trainers Jillian Michaels and Bob Harper, or Billy Banks and his Tae Bo workouts. If you are older and/or have any health issues, it might be too hard on your heart - and your joints! They always recommend you should see your doctor before getting started on an exercise program, and I strongly recommend that here for sure. If losing pounds is your primary/only goal, this workout may not be the answer you are looking for - at least not unless you are also following their dietary plan to the letter, or another strict eating regime. But also make sure you are eating enough daily while on this program as not doing so could stagnate your progress as much as eating too much. Dance with Shaun T and lose weight the easy way. With Rockin' Body, you can burn up to 1,500 calories a day.